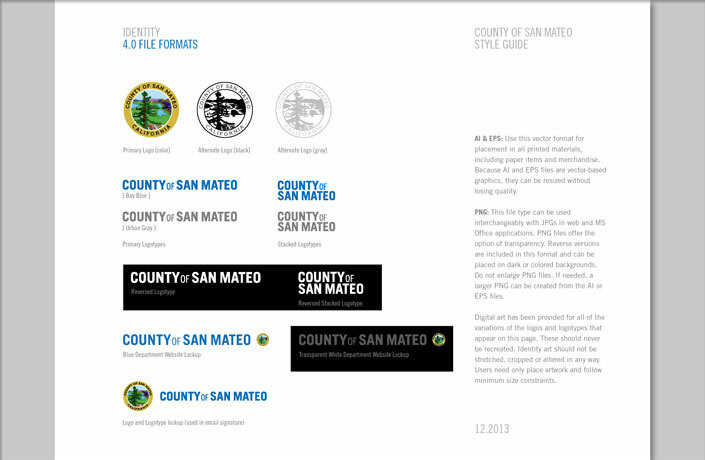 L Studio worked with the County Manager’s office of San Mateo to create a unifying identity for the County and a clear relationship of the 20 departments to each other and as a family of agencies within the County government. 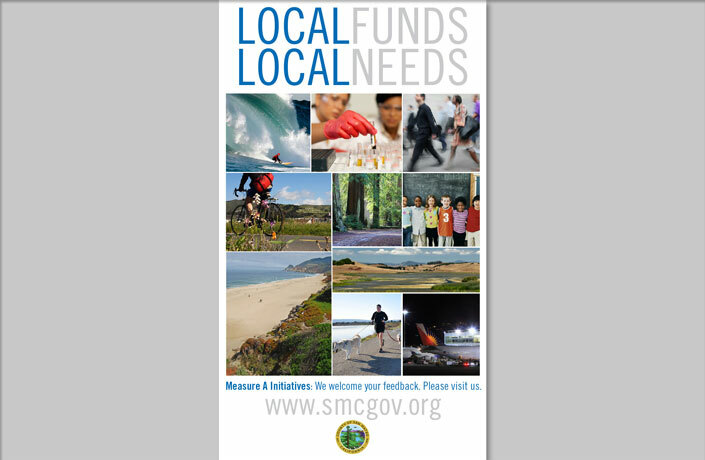 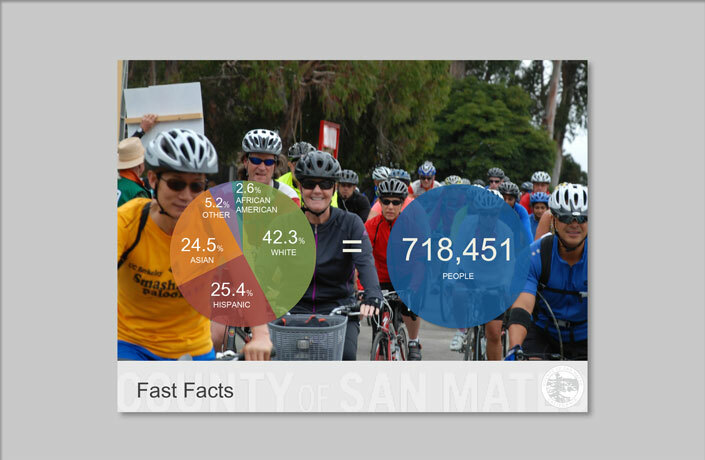 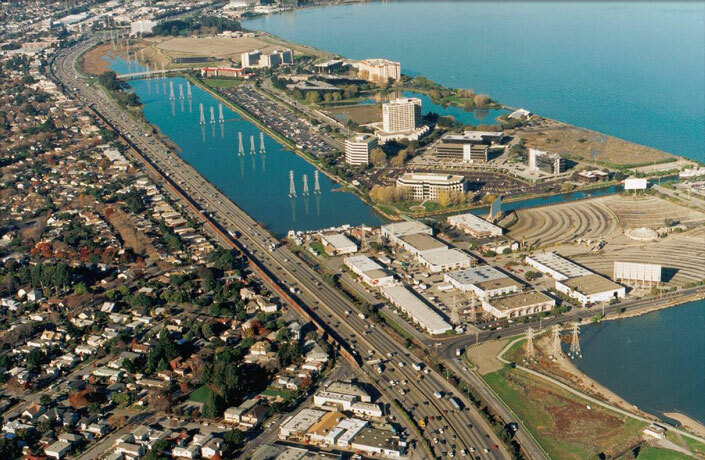 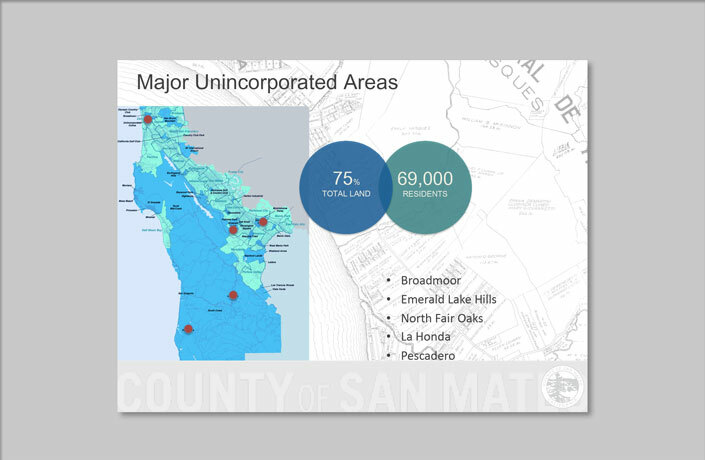 Founded in 1856, San Mateo County has grown and evolved to represent “All of California in One County”, with a diverse population located in rural and urban communities along the Pacific Ocean and San Francisco Bay, a strong local economy, an international airport and 60% open space along the spine of the Peninsula. 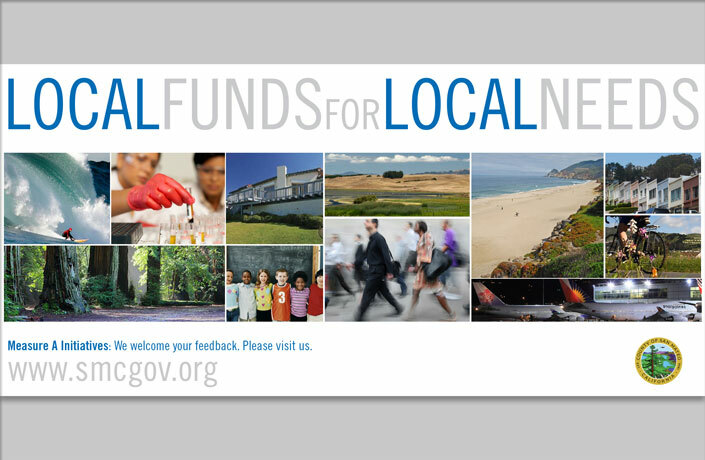 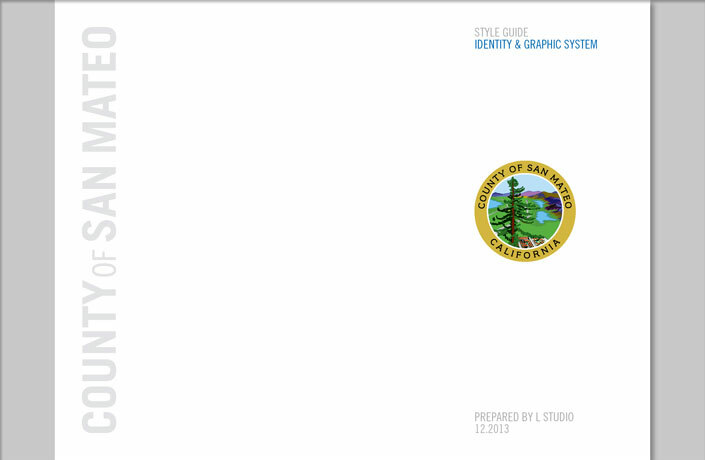 L Studio worked with the County to articulate this unique identity of place as well as the benefits and services that the County government provides to the public. 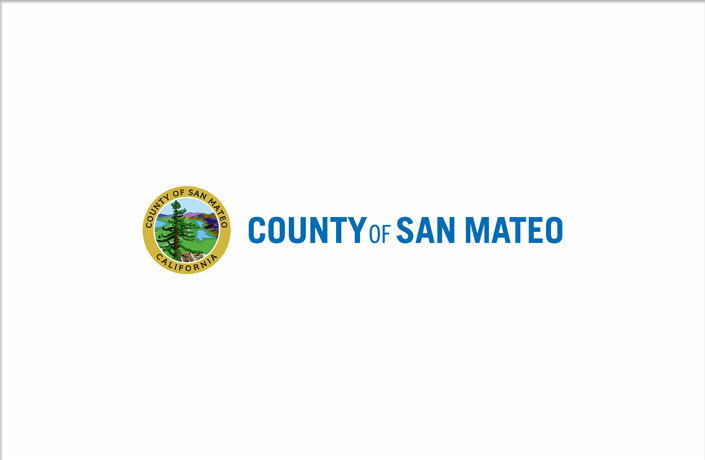 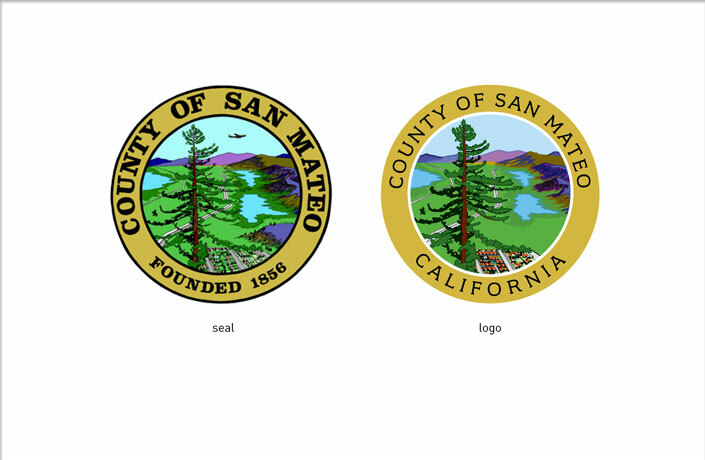 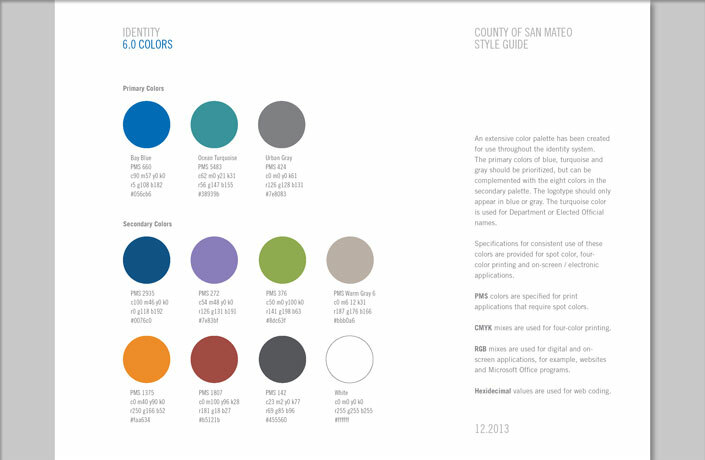 L Studio updated San Mateo County’s existing seal, designed a new logotype and established a family of colors and fonts that form the County’s identity and will serve as an umbrella brand for the County government. 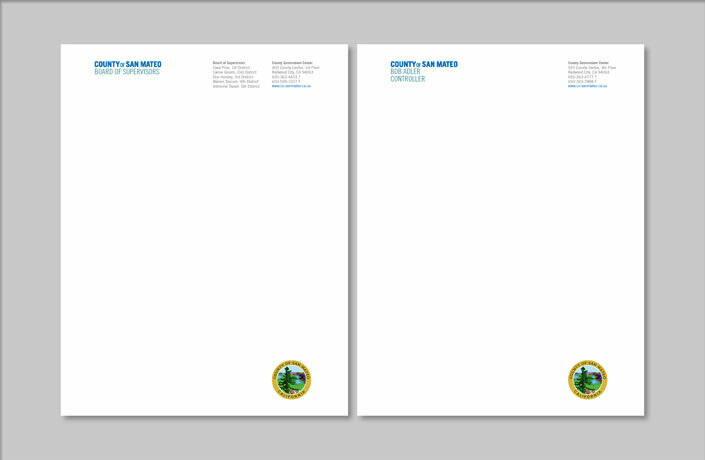 Development of a comprehensive set of guidelines to direct application of the new identity and storytelling for use County wide. 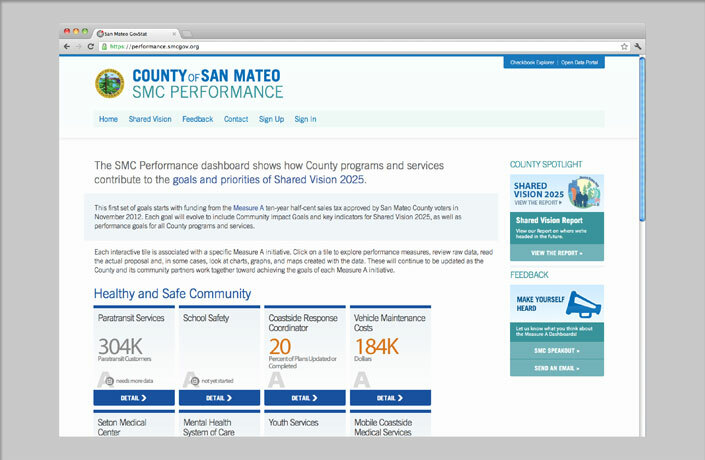 Application of the new identity system to the County’s online forums, SMC Performance and SMC Speaksout, as well as the County’s new PowerPoint templates and website. 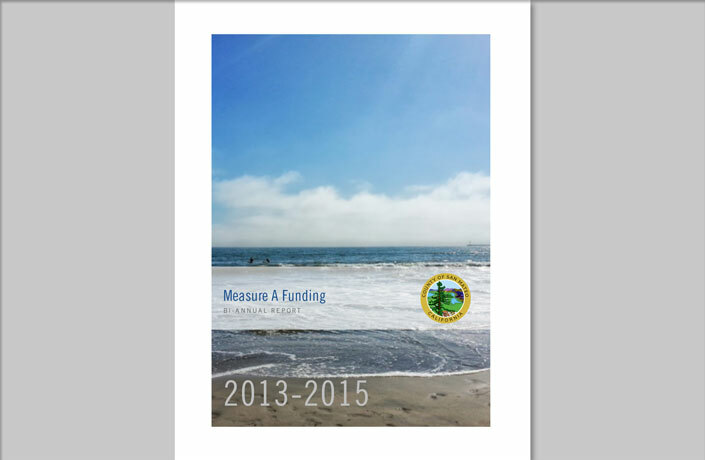 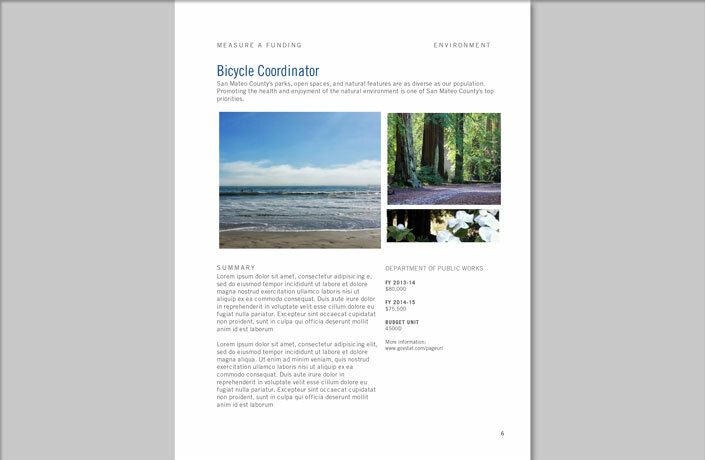 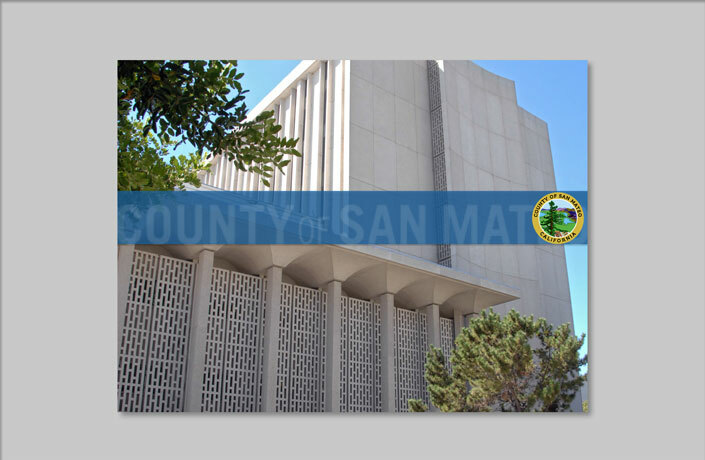 Design of a new stationery system to unify communications from all departments in the County as well as a report template and banners to share information on Measure A funding with the public.